NATALIE SUDMAN (Episode 2 of 3 with Natalie): “In this early Afterlife TV interview, one of my favorite guests, Natalie Sudman, discusses her NEAR-DEATH EXPERIENCE and what it unveils about what we are doing right now as spiritual beings and how important each one of us is in this human-spiritual journey. Only 25 percent of Afterlife TV fans got to watch this interview, and it’s so powerful that it deserves a second viewing even if you’re one of the few who did see it. This is my second episode with Natalie talking about her near-death experience. In this captivating interview, Natalie reveals MORE of what happened in the first stage called the BLINK ENVIRONMENT and now reveals the second stage of her NDE, which she calls the REST ENVIRONMENT. 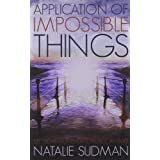 NATALIE’S SUDMAN’S BOOK – Application Of Impossible Things: A Near Death Experience In Iraq (Amazon) CLICK HERE TO PURCHASE. This is an amazing true story of a female civilian employee of the Army Corps of Engineers in Basrah and Nasiriyah, Iraq. She was riding in a truck when a roadside bomb destroyed the vehicle. Her body was so severely damaged that there was no possible way she could live. She vividly recounts her Near Death Experience when she went out of the body to the spirit world. There it was decided that her work on Earth was not done and with the help of spirit guides, they repaired the body so she could reenter it. She retained the conscious memory of what happened and during the time in the hospital, more details returned. This is the amazing story of a survival in wartime conditions. This has happened to many others in Iraq, but how many remember the spirit side of the experience? 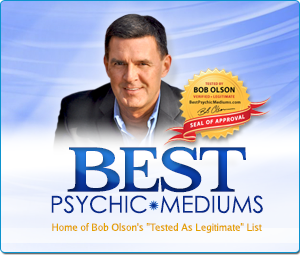 BOB: I have followed you for years. I am entranced with Natalie, who I feel is one of the truest most brilliant women I have had the pleasure of meeting, albeit on video. I want to thank you so much for the wonderful work you are doing. I am in the process of probably losing my beloved father, whom has been my entire life. You and your interviews have given me comfort at a time when comfort is impossible. Thank you so much. I’m very sorry that your father is not well. I’m glad that these videos have been helpful to you. Given that they have, I imagine my book would be of comfort to you too. Thanks for your comment. My very best wishes to you and your father. Hi Bob, revisiting your old interviews, Natalie have such a lively personality! During my guided meditation, a tape I bought from a medium, a guided meditation to invite your spirit guides to step into your energy field and blend with your energy. I had a brief vision actually 4 on a seperate occasions, I believe it was my guide and 3 spirit helpers revealing themselves to me, I am still remembering the details of each of them. I remember being in a peaceful place when they revealed themselves. You’re having some really special experiences. These are amazing! And yes, Natalie is amazing. I interviewed her 3 times about her near-death experience. I highly recommend them all. In fact, I want to watch them again too. They are all shown on this page: https://www.afterlifetv.com/2013/07/25/experiencing-the-healing-environment-of-a-near-death-experience/ – Thanks Monique!